Age-related eye diseases are currently the leading causes of blindness and low vision worldwide. They are degenerative diseases, mainly present in elderly people, affecting the different parts of the eye: the retina (age-related macular degeneration or AMD), the optic nerve (glaucoma) and the lens (cataract). AMD is a degeneration of the visual center of the retina, called macula. There are two forms: neovascular (or wet) AMD and atrophic (or dry) AMD. In the late forms of this disease, the central vision, which allows reading and recognizing the faces, is lost. In France, more than 600,000 people are affected by AMD. Since 2007, treatments that are injected in the eye are available, which help to curb the evolution of neovascular AMD. Another common eye disease is cataract. 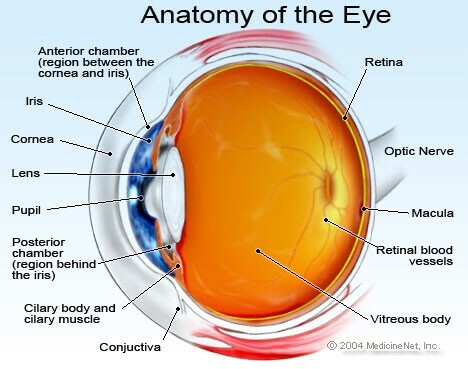 This is an opacification of the lens, an adjustable lens that focuses light on the retina. The only available treatment is the extraction of the lens and its replacement by an artificial implant. Lens extraction is currently the most common surgical procedure in France, with approximately 700,000 operations per year. Finally, glaucoma is a disease of the optic nerve, which carries visual signals to the brain. It results in a progressive loss of the peripheral visual field and thus leads to a "tunnel" vision and even to blindness. There are very few epidemiological data on glaucoma in France. The etiology of these diseases is multifactorial, involving non-modifiable factors such as age, gender and genetic factors and modifiable factors such as smoking, ultraviolet exposure, intraocular pressure and nutrition. The epidemiological studies carried out over the last twenty years, including in France, the POLA study, made it possible to specify some risk factors for age-related eye diseases (AMD, cataract, glaucoma). Several modifiable factors have been identified, such as smoking (for AMD and cataract), exposure to ultraviolet (for cataract) and intraocular pressure (for glaucoma). In recent years, research has also focused on the identification of nutritional factors to prevent or delay the development of these diseases. This is why we have been conducting the ALIENOR study (Antioxidants, Essential Lipids, Nutrition and Ocular Diseases), which aims to study the associations between age-related eye diseases (AMD, glaucoma, cataracts , Ocular dryness) and nutritional factors, mainly omega-3 fatty acids, carotenoids (lutein and zeaxanthin) and antioxidants (vitamins E and C, trace elements). Other major determinants of these diseases are genetic factors, environmental factors (including sun exposure), vascular factors and the characterization of the use of eye care in the elderly population. This research is carried out thanks to a close collaboration between the INSERM U1219-Bordeaux Population Health Research Center (C. Delcourt, JF Dartigues, C Helmer) and the department of ophthalmology of the Bordeaux University Hospital (JF Korobelnik, MN Delyfer, MB Rougier, C. Schweitzer). The ALIENOR study is an epidemiological cohort in the general aged population. It is based on the ongoing cohort study of the 3 Cities (3C), whose initial objective is the study of the vascular factors of dementia. The 3C study included 9,294 people over 65 in three French cities (Bordeaux, Dijon and Montpellier), including 2,104 in Bordeaux. Subjects were recruited from electoral rolls in 1999-2001 and have been monitored approximately every 2 years (See the figure of chronology). The data collected at each follow-up includes cognitive assessments, MRI scans, disabilities and behavioral changes, as well as numerous vascular parameters (history of cardiovascular disease, blood pressure measurement, electrocardiogram, carotid ultrasound). At baseline, a blood test (lipids, glucose, creatinine) and a DNA library were collected. In addition, detailed nutritional data were collected for the Bordeaux cohort: measurement of nutrients of interest in the biobank (antioxidants, omega-3 fatty acids, carotenoids) and detailed food surveys (24-hour recall, frequency questionnaire ) during the first follow-up review (2001-2002). The ALIENOR study consists of ophthalmologic examinations, which are offered to all participants in the Bordeaux 3C cohort since the third follow-up review (2006-2008) (See the figure of chronology). Of the 1,450 subjects who participated in the third follow-up review of the Bordeaux cohort, 963 initially agreed to participate in the ALIENOR cohort. Since then, there have been more than 1,000 subjects who have participated in the Alienor study at least once. For each eye, these examinations consist of ophthalmological history, refractive and visual acuity measurements, two color photographs of the retina at 45 ° (macula, optic nerve), intraocular pressure measurement and of the central corneal thickness, a break-up time test. Also, a self-administered questionnaire on ocular risk factors (exposure to the sun, use of television and computer) and symptoms of ocular dryness (OCI) are collected. In 2008-2009, an ancillary study on macular pigment was carried out among 395 subjects. Ophthalmologic examinations have been carried out since 2009 with high-resolution optical coherence tomography and autofluorescence (OCT Spectralis, Heidelberg, Germany), large-field retinal imaging (Optomap, Optos, Dunfermline, UK) and the biomechanical properties of the cornea (Ocular Response Analyzer, Reichert, Depew, USA).